Chikuchiku are prickly enemies from Donkey Kong for Game Boy. They make their first appearance in Stage 8-2 of the Rocky-Valley. Just like Sniper enemies, they stick to and go round the environment, walking up walls and ceilings in the process; they are also dangerous to touch from any side. Particular members of the species walk faster than other members (i.e. Chikuchiku can be differentiated from each other due to some walking either slowly, fast, or at an intermediate speed). This can only be remarked in Stage 8-2. 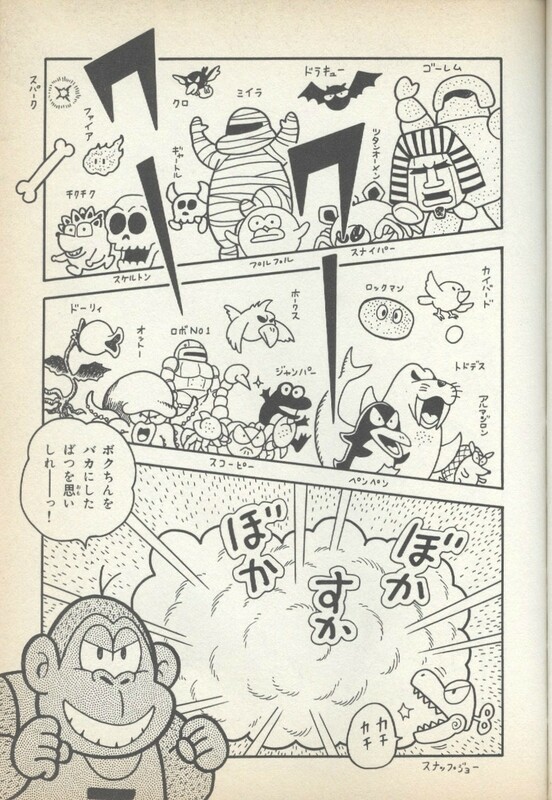 Chikuchiku can be defeated with a hammer, but since this marks a rare occasion in the game, it is best Mario dodges them at all costs. Chikuchiku Japanese onomatopoeia meaning "prickly". This page was last edited on December 31, 2017, at 02:04.